I have recently gone freelance (holla for all of your social media needs) and I am struggling. I’m not struggling to find a gig or pay my bills (I’m very fortunate to have a consistent role at the moment and no real big outgoings), I’m struggling to manage myself. It’s made me think a lot about how my bosses managed me at my previous 9-5s (former employers, you don’t have to answer that) and whether I’m actually cut out to be self employed and be my own boss. Freelance work and blogging full time is always something I wanted to do in the back of my mind, but never thought I could actually do it, until I quit my job last year and put the majority of my energy into blogging and digital marketing. As somebody who doesn’t have a degree (I dropped out of uni after three weeks, and used my student loan to go to Disneyland), has never had a “creative” job, or any real professional experience at being a social media manager/coordinator, I feel like I’m just throwing myself in at the deep end and learning everything as I go. However I genuinely enjoy doing social media, for my blog and organisations, and creating organic content that gets a response. I love being in control of my own hours and potential to earn, even though I have a lot to work on regarding time management. Being a part of a creative, like-minded community of people hustling for their blogs or brands they love is so positive and encouraging, even if not having a dedicated workplace with a desk and colleagues is taking some getting used to. 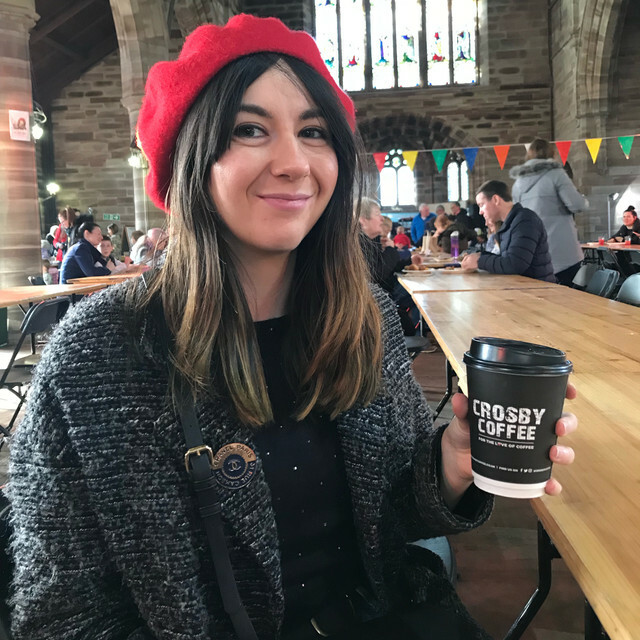 Don’t try to do it all by myself – there’s a lot of really cool communities around Liverpool for people who work freelance, and I need to take advantage of these connections. Also, letting the people I’m working for know if something is taking super long or is proving harder to do than I thought. Get an office space (?) – I’m still unsure about this, due to financial reasons. Do you work from a co-working space or pay for a desk? Let me know if it makes you feel more productive, helps with motivation, separates home from work, etc. Have allocated days and times for working – I need to start grouping my “working days” together, and possibly not working on days where I have blog stuff to do, or a therapy appointment or even a driving lesson. It’s good to have structure but I need to implement some structure for myself. Separate work time and home time – I’ve started turning off all my notifications during holidays or days off. Recently when I was away in Glasgow I checked my work messages and immediately was hit with a chest full of anxiety and thoughts that I’d done everything wrong. There’s nothing wrong with setting limits and not wanting to work after 6pm. I suppose this post is a way of getting my anxieties and thoughts out, and trying to create some ~original content~ at the same time. Wordy, life posts are not usually something I do on this blog (aside from a piece I wrote for Mental Health Awareness Day) but I feel like publishing this will get me to reach out, get some perspective and hopefully some advice.